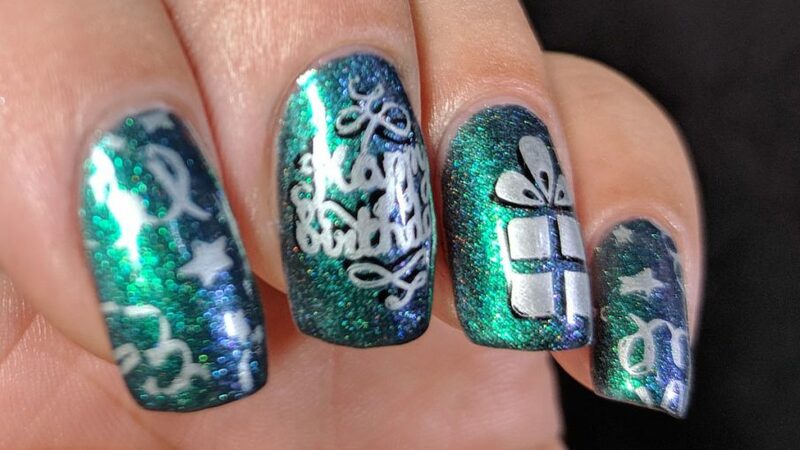 It’s Neha’s (@nehabothra) birthday today. So Happy Birthday to a lovely and talented friend! 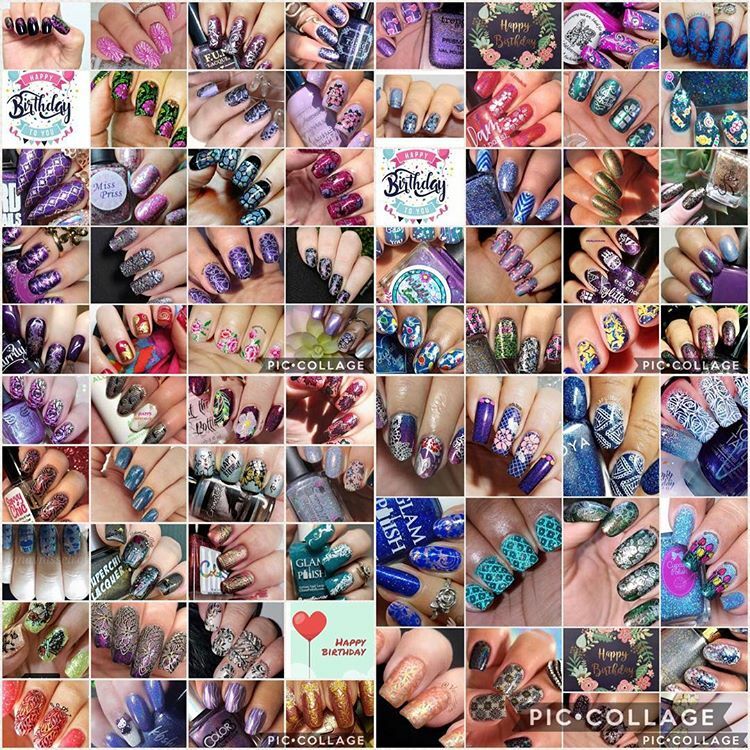 Caroline (@tinkerbell1970s) and Snigdha (@nailpaintreview) organized a group to celebrate with holographic or flakie nail art and most of us tried to use Neha’s favorite colors (blue and purple). 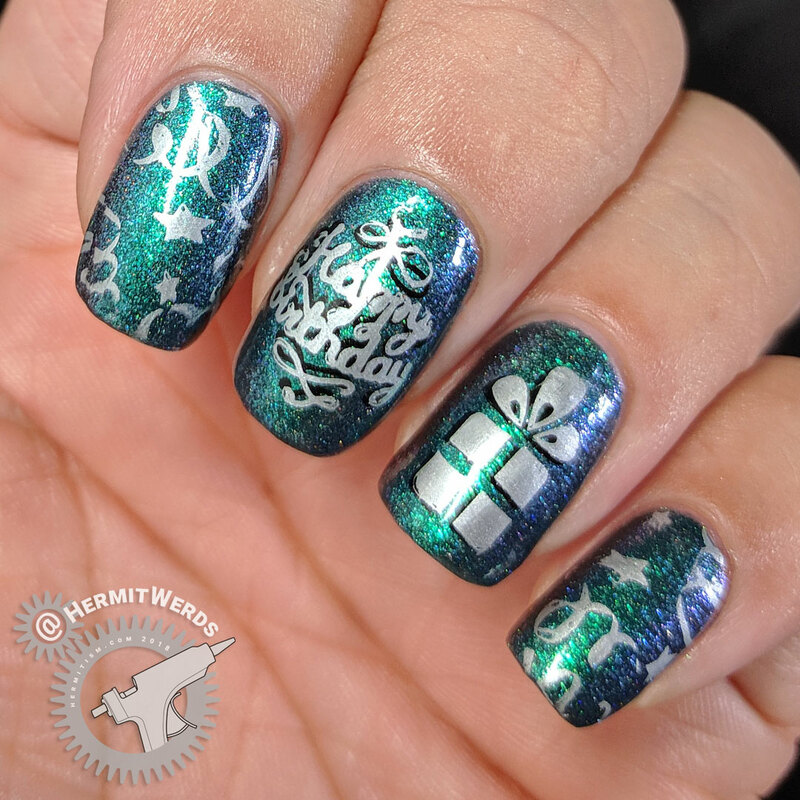 I tapped both a bit with this multichrome. It’s been a while since I last used Celestial Cosmetic’s “Comet Me Bro”. 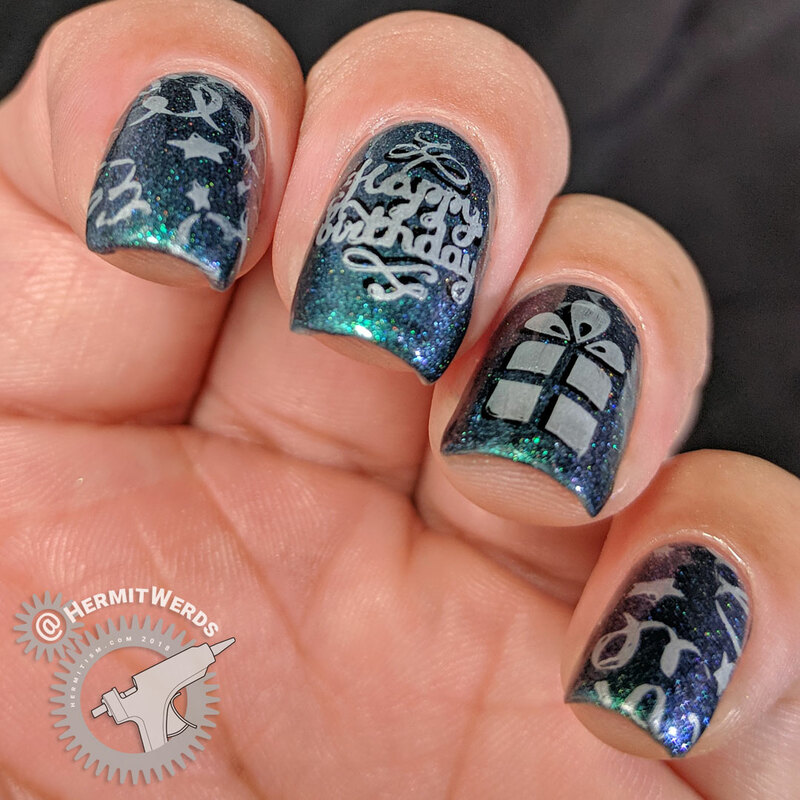 It’s so fancy I decided I should stick to simple double stamping to show it off.